Street Address : East industrial Zone, Anping, Hebei, China. Steel bar grating is a widely used grating type. It can be used in the trench and drainage system as the trench and drainage cover to ensure the excellent drainage performance and secure the pedestrians safety. 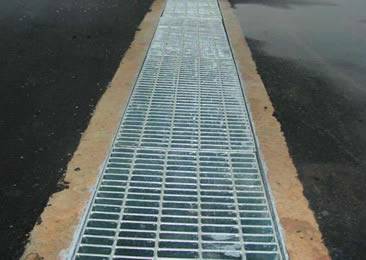 Like most of steel gratings, such as welded steel grating and press-locked grating, the drainage trench grating is made of carbon steel, aluminum steel and stainless steel. Different materials of grating can suit different applications of customers. 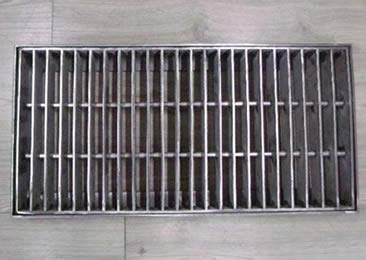 Carbon steel grating is the most economical grating among the three types and the aluminum grating features lightweight and corrosion resistance, it can be used in the corrosive environments. 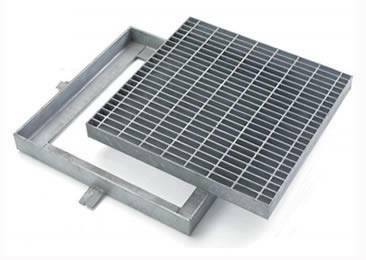 The stainless steel grating has unique chemical stability, it is the ideal products to be used in the acid or alkali environments and keep a long service life. Angle frame can increase the load capacity of drainage trench grate. It is the simplest and most economical types of types of trench covers. It can be installed on the trench and drainage to form a cover. This cover can not only ensure the excellent drainage performance, but allow the traffic passing through. The galvanized angle frame gives the maximum opening and supplies a strong and solid base for the grating. 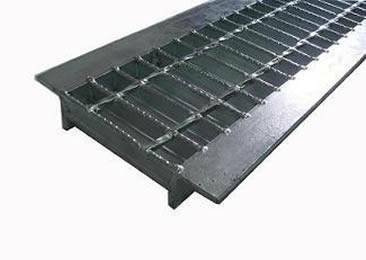 It can bear the load of steel grating can improve the load carrying capacity of grating. 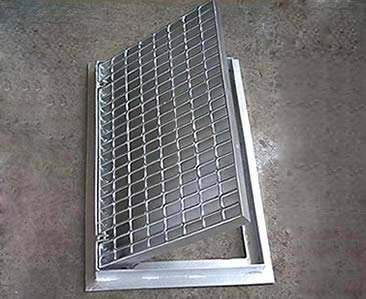 Except for the standard trench grate, there is a type of grate is made of close mesh steel grating. 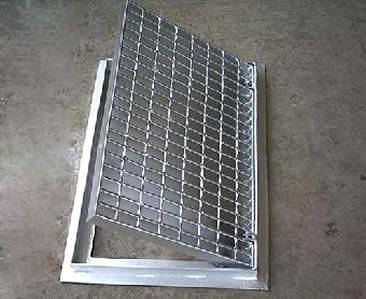 The close mesh steel grating is available for pedestrians wearing high-heel shoes, bicycles and other wheeled equipment easy passing through. 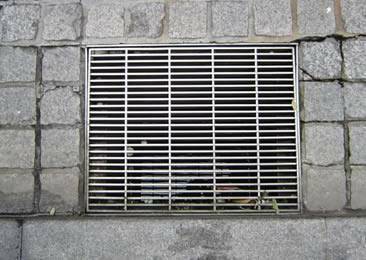 Angle sided grate is a type of drainage trench cover with angle bar on the two side of the grating. It is fit for the concrete trench, which is molded a channel to place the grates. 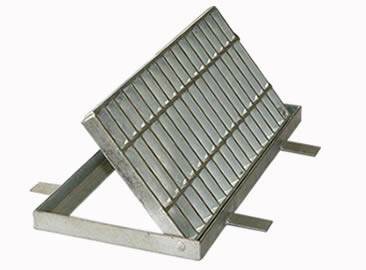 The sided angle bars can bear the load capacity of the grating and ensure the long service life of the grate. The appropriate opening size can not only enable the drainage but also block the large wastes from entering the trench and blocking the trench. The angle sided grate has smooth and serrated surface for choice. And the common length of angle sided grates are 1m. Angle sided grate with smooth surface. Angle sided grate with serrated surface. 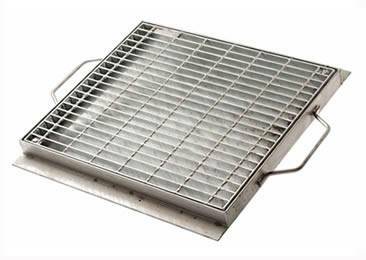 Box grate is a type of drainage trench cover with galvanized frame. The frame make it easy to install the box grating onto ground. There are hinges connecting the grate and frame. This design is ideal for easy cleaning of trench. The surface of box grate can be smooth and serrated to suit different applications of customers. The grate on the frame is mostly welded steel grating which is the simplest and most widely used grating type. Smooth surface hinged box grate. Serrated surface hinged box grate. 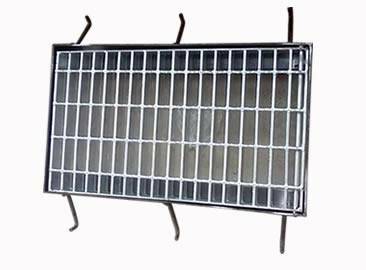 The box grate have some other types with different accessory and structure, you can refer to it and find the perfect for you. If you have any other drawings, we can customize as your requirement. Drainage trench box grates without hinge connection. Drainage trench box grate with handles. Hinged drainage trench box grate with cross bar. Drainage trench box grate with supporting bars. 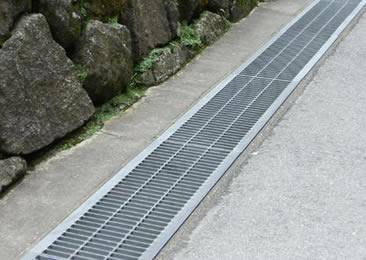 The drainage trench grating is mainly used in the municipal engineering, factory, garage and residences to drain water and keep ground dry. Close mesh drainage trench grate is ideal for pedestrian wearing high-heel shoes passing through. Swage-locked drainage trench grate can supply lateral stiffness for the grating. 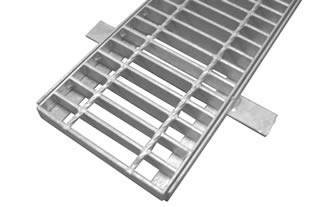 Angled trench grates are suitable for concrete ground. 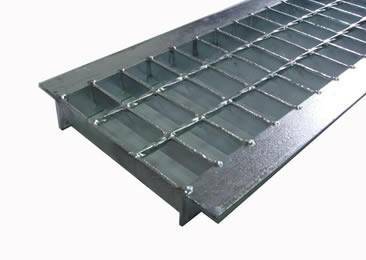 Trench grate and angle frame is widely used to protect the trench and drainage.